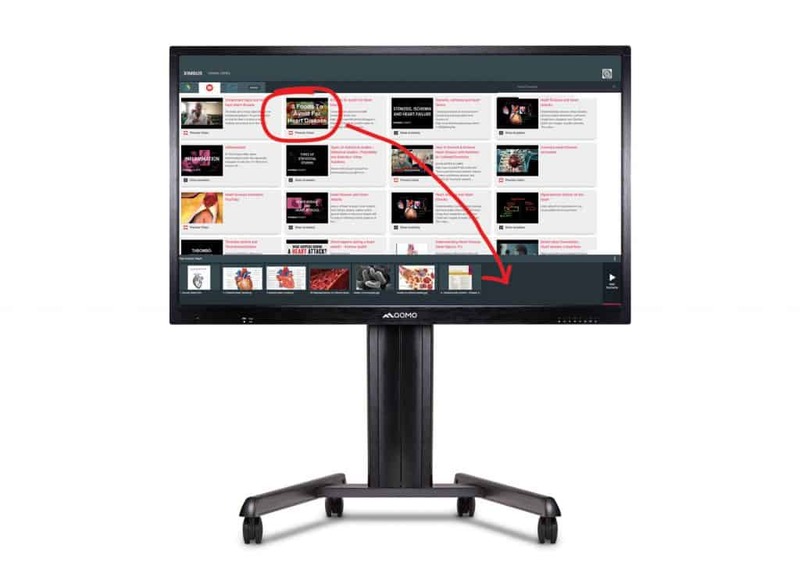 Our display panels and interactive whiteboards have Oktopus, Ximbus, and Flow!Works software included, so you can start giving world class presentations and lessons right out of the box. 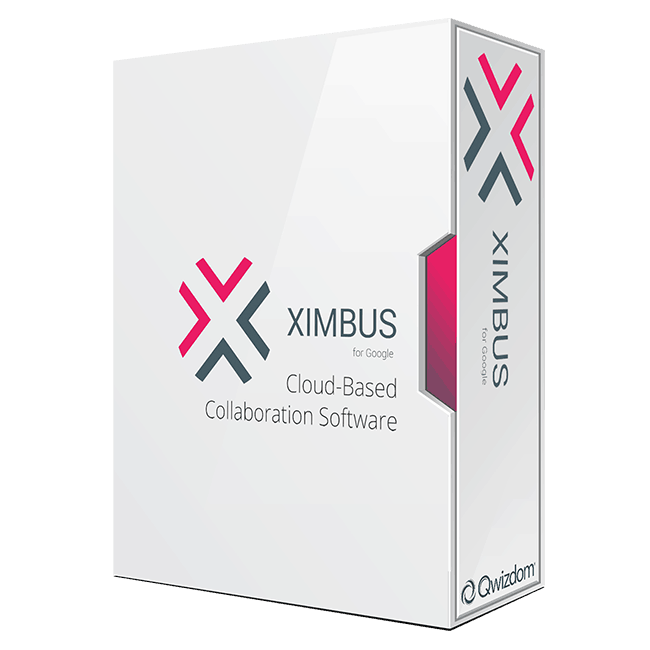 enjoy cloud-based collaboration with Ximbus. Ximbus is a streamlined and fun-to-use application that connects with Google Drive and Google Classroom. Ensure that all your documents, slides, spreadsheets, and videos can be easily created, organized, and shared. Annotate over anything on your screen, from photos to web pages. View detailed reports about who is viewing your content, how many times they've viewed it, and for how long. Changes to your files and presentation will autosave and sync to any Wi-Fi-connected device. Gauge your audience's opinions and whether they're following along instantly. Oktopus is easy to use for all ages and abilities. 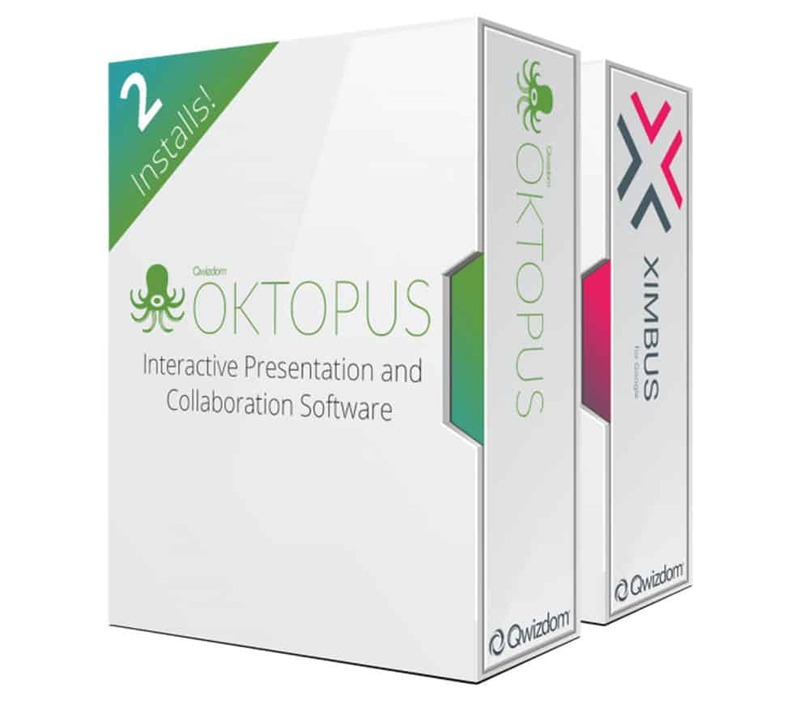 Oktopus is highly accessible collaboration software. Available in over 40 languages and compatible with Windows and Mac, Oktopus gives you the flexibility to work with any content, browser, or application you choose. Annotation tools include a pen with handwriting recognition, highlighters, a magnifying tool, and much more. Oktopus includes over 70 learning tools including maps. word games, graphs, and an interactive periodic table. Participants can view, interact with, and save your presentations on their own devices. Users and collaborate simultaneously with multiple pens and touch points. Flow!Works annotation software makes education easier. QOMO’s new version of Flow!Works has many new features and resources to make teaching any subject easier, more fun, and more stimulating for students and teachers. Create lessons that stick for learners of all ages and all learning types by allowing your students to look, listen, and touch all at once. want to request a complimentary Oktopus or Ximbus license? 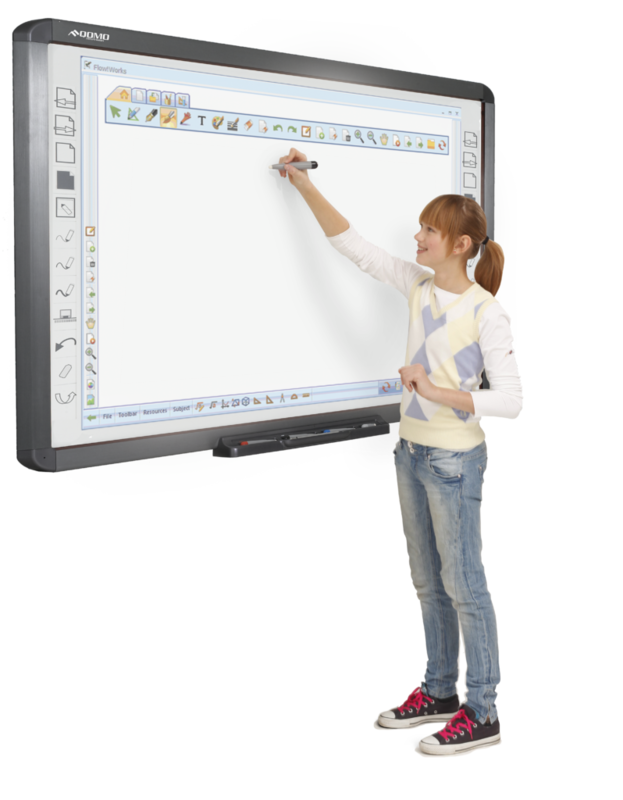 Receive a 1 year complimentary license for our interactive laser projectors, display panels, and whiteboards. This is only for eligible purchases made in 2018.